Tall, dark, and handsome are three easy adjectives one could ascribe to SUR's hunk-tastic manager Peter Madrigal. Add in "permanently surrounded by the most exhausting people on Earth" and you've got a rather accurate picture of his character. Week in and week out, he manages to stay above the fray of Vanderpump Rules drama and maintain an air of normalcy. 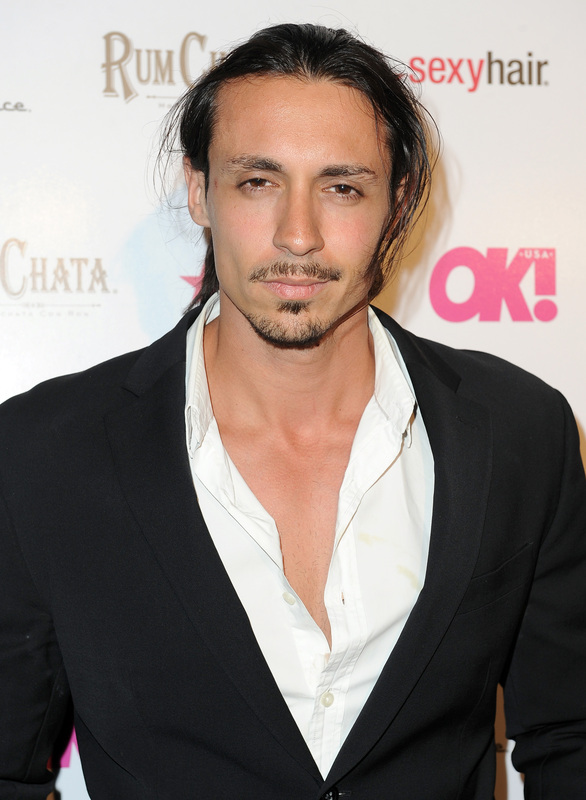 What is the deal with Peter Madrigal from Vanderpump Rules ? We don't see that much of him, and I'm ready to air my grievances about this. Like the rest of the gang at SUR, Peter is in showbiz. Primarily, he is a producer, filmmaker, and photographer. On IMDb, he's listed at the executive producer of the movie Cherry Pies, which is currently filming. The movie follows four women who throw a party in a plot to kill their abusive ex-boyfriends, and end up killing the rest of the guests of the party as well. Fun! Peter also co-produced a pilot for a sitcom called Social Status, which is about three post-grads mitigating their lofty dreams of success with the everyday grind of work and friends. It's not Vanderpump Rules, but I'm sure there are some autobiographical elements thrown in there. Ya' know, like the three main characters all working at an LA hotspot called something like Hottie Lounge. Tom Sandoval is listed as the lead for the show! Gotta love friends that can do stuff for your career. Between his creative gigs, his SUR paycheck, and his Vanderpump Rules earnings, this guy must be doing pretty OK for himself. Recently, TMZ caught up with Peter to ask his opinion on some rumored inequities on the cast paychecks. Peter didn't betray any signs of feeling slighted on pay day, but he did say that he believes the cast deserves a raise from their current $5K per episode rate to $10K an episode. Especially in Peter's case, because he sorta just sits at the sidelines and appears sporadically, that's a really nice paycheck. Not to mention, he seems to get paid in free drinks from fans on the regular. I can believe it. On a totally different note, Peter is a stunner in a flower crown. Furthermore, he loves Game of Thrones as much as you do. He was a rather fetching Khal Drogo for Halloween. He's also got a adorable dog that apparently just gave birth to puppies. So while the rest of the cast is fretting over petty BS, he's actually raising baby dogs. At the end of our recon, I'm ready to maintain my thesis: we deserve more Peter Madrigal on Vanderpump Rules. At least, give us a talking head where he talks about how big of an idiot James the busser is. Also, please make this talking head shirtless. Sincerely, a devoted fan.